nero profumo: Masque Fragranze - Russian Tea: The Warmest Winter. Masque Fragranze - Russian Tea: The Warmest Winter. My first instinct would be to start with "what a surprise!" but then, if I think about it, this is more like a confirmation than actually a surprise. 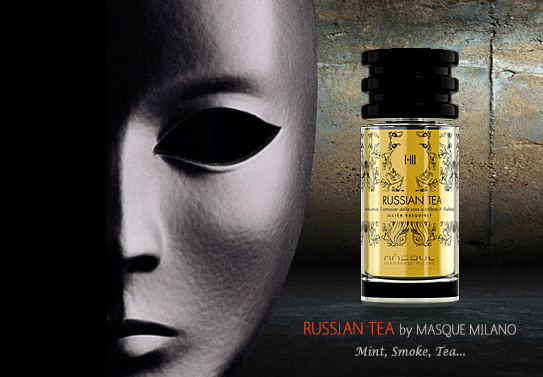 The work Alessandro Brun and Riccardo Tedeschi are doing with their Masque line is definitely something not to overlook and Russian Tea represents just the newest chapter in their already important and noteworthy path started with humongous releases such as Montecristo, Tango and Terralba. 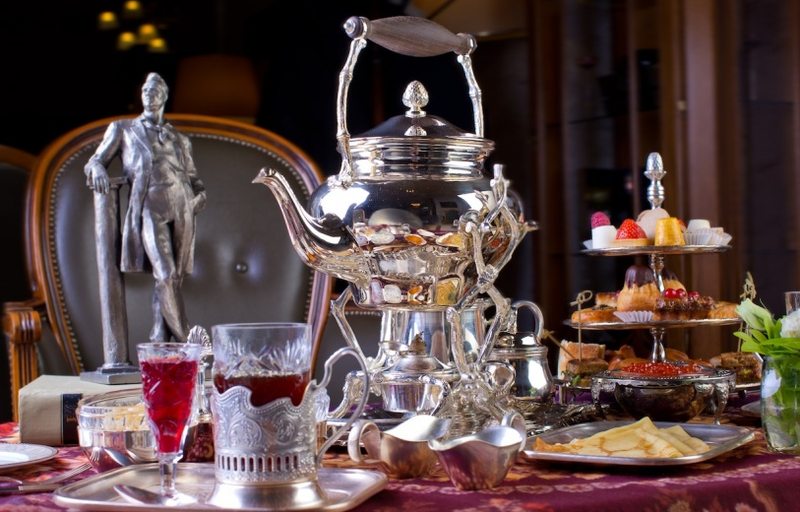 For Russian Tea they worked with cult-perfumer Jacques Rasquinet who previously collaborated with the likes of Naomi Goodsir (for whom he delivered what have become one of my all-time favorites, Bois D'Ascese) and Andrea Maack amongst others. An extremely talented perfumer who's rapidly becoming the undisputed master of smoky notes. The result of this collaboration strikes as a sort of hypothetical lovechild of Guerlain Herba Fresca and the much overlooked Eau Du Fier by Annick Goutal…well, this is honestly kind of a stretch but it might give you an idea on the axis this fragrance moves on, anyway. Smoky, aromatic, dark, fresh, leathery and…bittersweet. There's clearly a mint note up top which while completely skipping the typical (and annoying) toothpaste effect, it's immediately joined by the most realistic smoky black-tea rendition I've experienced in quite a while. The pairing of the two gives birth to a fantastic juxtaposition all played around moderately sweet fresh notes and darker smoky ones. It's funny how in this phase, while smelling somewhat refreshing, the fragrance doesn't fail to show its darker side with an overall wintery vibe. It's a modern accord made out of bittersweet juxtapositions and just a hint of red-fruitiness. A modern accord where smoke it's relevant but not overwhelming and where tea is left to express and unveil all of its aromatic and evocative qualities. The evolution from the opening to the middle phase and the drydown is slow, smooth and completely flawless. A much darker central accord of smoky woods remarks it presence and takes form while joined by a leather-incense combo with some immortelle providing extra body. It gets darker and darker with time. Deeper and deeper, warmer and warmer, drier and drier… At traces, it made me think of a more aromatic version of Comme Des Garcons Black (the immortelle-leather-incense combo is really not that distant) but whereas the CDG feels urban and sort of punk-ish, Russian Tea pushes on melancholy and coziness by evoking immense rural landscapes during winter. 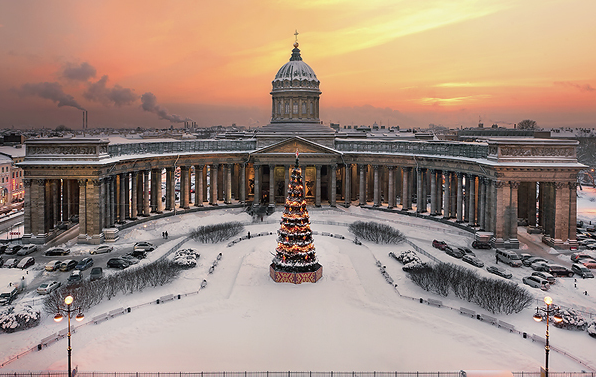 Traditional rituals, historic buildings, fireplaces and time spent meditating and traveling. Now, I'm impressed for way too many reasons. First of all, this a fragrance which is a total pleasure to wear on many different levels. It'd make one hell of a signature as well as something distinctive for special occasions. It's easy to like but has so much substance. Daring but not weird, solidly built and conceived and, most of all, perfectly sized. Longevity is beyond good while silage is discreet but remarkable. An entirely elegant composition that's able to standout and feel distinctive without being necessarily odd or pretentiously *arty*. Masque's Montecristo was one of my favorite fragrances of 2013 and Russian Tea will most definitely be amongst my favorites of 2014. With that said, there's really no doubts on my side that Masque is rapidly becoming one of the most interesting and solid outfits of this second decade of 2000. As usual, your reviews are still so pleasant to read, so nice and relevant! Thanks Jean-Michel. I'm humbled by your words and I'm surely glad you find what I say helpful. I had a sample of Russian Tea included with my Ambra Nera order and put it on this morning.All day I got the most wonderfully aromatic but dark and smoky scent rising up.The juxtaposition of the aromatic,dark and bittersweet in this perfume is a masterstroke of brilliance.I can't resist so needless to say I ordered a bottle as soon as I got home! I also own and adore Montecristo and have been mesmerized by Tango which is on my list to purchase soon.Masque Milano is truly an innovative house to watch and is such a breath of fresh air in the overloaded filed of mediocre niche perfumery.Your reviews are eminently enjoyable and this one is spot on.To put a scent into words is one of the great challenges and is an art in itself.Very few can create a synaesthesia as you do...Bravo! Btw you're partially responsible for my recent purchases of Ambra Mediterrenea and Ambra Nera...;) I love them!